Thanks to the wonderful clients we deal with here at Kiwi Box, we are well versed in the countless applications of refrigeration. At home our appreciation for refrigeration extend much further than understanding that our fridge and freezer keeps our beer cold, our vege fresh and our meat and ice cream frozen. 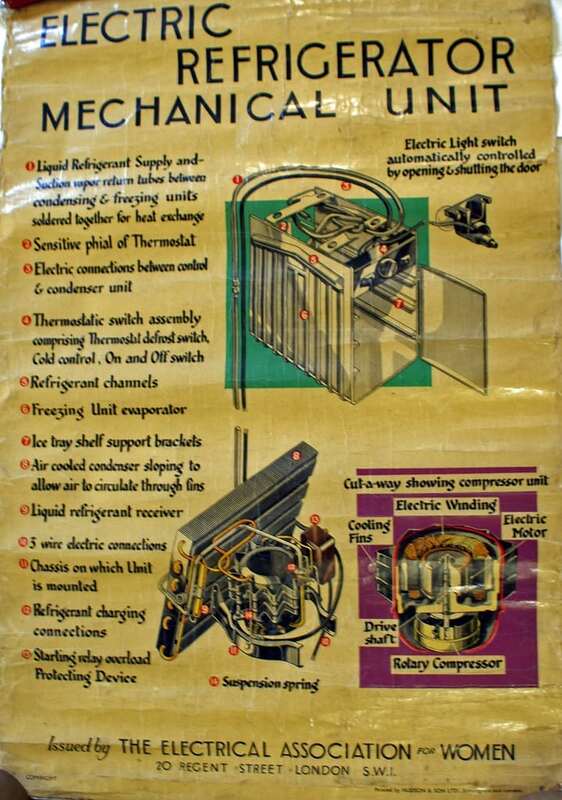 So, let’s take an insightful trip through history and touch on some milestones in the history of refrigeration. Next time you reach in your fridge for that carafe of cool water or bottle of beer, spare a thought for those who had to think outside the icebox to get a cold drink in the days before mechanical refrigeration. Romans would heap large quantities of snow into storage pits then cover the cooling agent with insulating materials. When they wanted a refreshing drink of water they would add some snow. Egyptians would pour boiled water into their earthen jars and expose it to the cooling night air by leaving it on their roofs. In the 17th century the French would dissolve saltpetre (potassium nitrate) in water before submersing long-neck bottles in the liquid. In the United States, commercial ice shipping operations began out of New York City in 1799. Keen entrepreneurs Nathaniel Wyeth and Frederick Tudor turned the industry on its head in the 18th century while concentrating on shipping ice to tropic climes. They found insulating materials that reduced ice wastage from 66% to less than 8%, and invented methods of cutting uniform blocks of ice with minimal wastage and handling time. A victim of its own success, the harvesting of natural ice was booming by 1907, with 14-15 million tonnes of ice being consumed in the States alone. The process became hazardous when sources were too often spoiled by sewage dumping and pollution. In 1870, brewing companies in the northern United States began to use mechanical refrigeration to realise a uniform product. By 1891, nearly all American breweries were using refrigerating machines, and within a decade the meat-packing industry had adopted the technology. This meant animals could be taken to market year-round (not just during winter), and meat quality improved greatly as a result. Putting an end to the use of ice wagons, which would deliver ice to urban homes, the household refrigerator became popular in the US in 1921 with 5,000 being built. A decade later the number was more than one million, then nearly six million just six years later. After WWII, mass production of the modern household refrigerator began, and by 1950 over 90% of urban US homes had one. Closer to home, mechanical refrigeration was once the saviour of New Zealand’s economy, and perhaps the most pivotal technological advancement in the farming sector, allowing for New Zealand’s first shipment of frozen meat to be delivered to Great Britain. On 15 February 1882, the Dunedin, an Albion Line passenger sailing ship fitted with a coal-powered freezing plant, left Port Chalmers with 5000 frozen mutton and lamb carcasses aboard. The ship arrived in London some 98 days later, with just one carcass being deemed not fit for sale. The experimental journey helped kickstart New Zealand’s now billion-dollar meat export industry, and pulled the colony out of economic depression. But it wasn’t all plane sailing – the crew noticed the cold air in the hold wasn’t circulating while the ship was marooned in the tropics, so Captain John Whitson crawled into the tight space and sawed additional air holes, almost freezing to death. Luckily his crew were able to retrieve and successfully resuscitate him.